Babies learn best through sensory play. Remember that everything in our world is new and stimulating for these young ones! Putting your baby’s feet in the grass, letting them grab at sand on the beach, and dipping their hands in yogurt and wiping it all over their face are all sensory experiences that grow your child’s brain! By touching, smelling, and tasting things unfamiliar to them, we allow them to build neural connections in the brain and strengthen memory, develop language, fine and gross motor skills, cognitive growth, and problem solving. Helping your baby learn to feel comfortable “getting dirty” helps them learn and grow! You can go pinterest-crazy with sensory play, but you don’t need to make it complicated!! 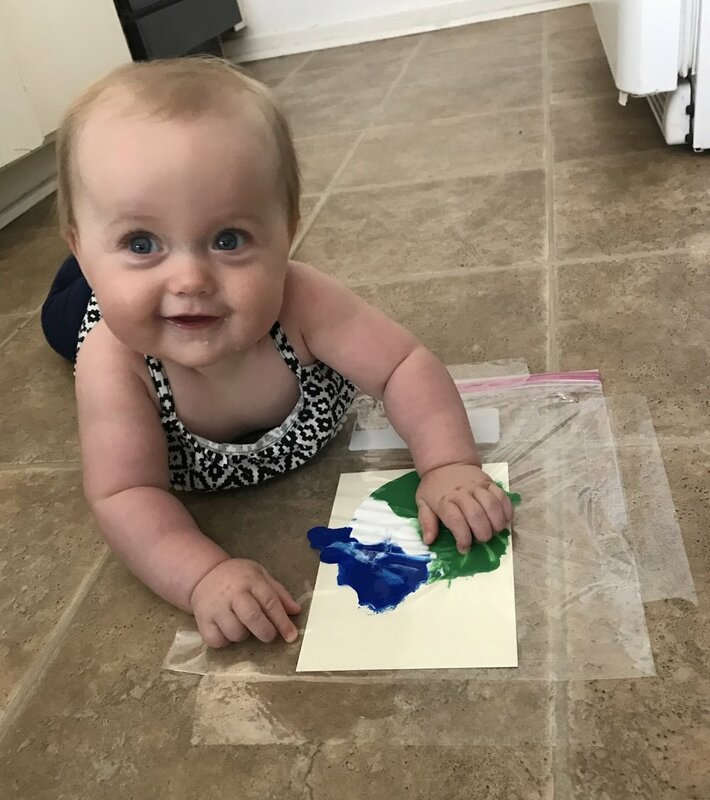 Check out Jessie's daughter, Shea, doing some simple sensory activities - paint in a bag and gel sensory bag. - Wondertree Kids - great music and messy art classes - both fantastic sensory experiences!